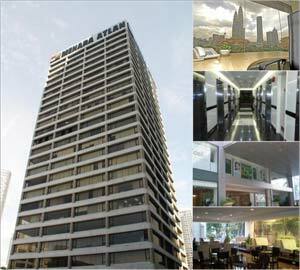 Menara Atlan is sited along Jalan Ampang between the Kun Yam Thong Temple and Wisma MCA. This 23-storey office tower overlooks the KLCC Park. It is a cost effective location for companies desiring a Jalan Ampang address.